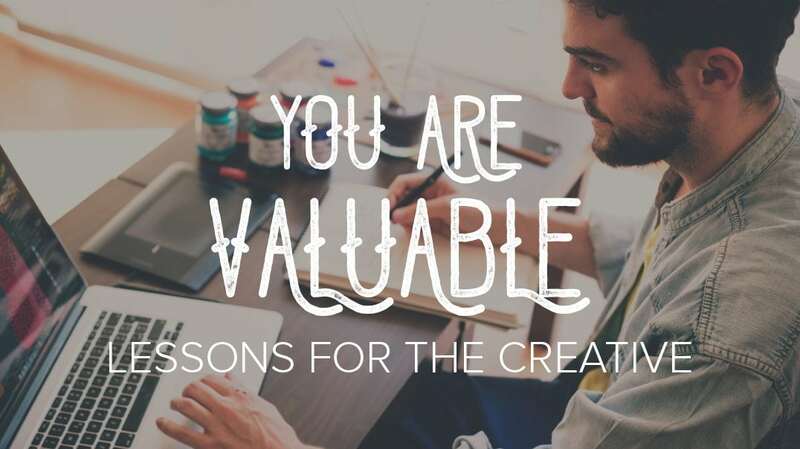 This could be written in so many ways that are deep in my heart, but for the context of this article I’ll be focusing on your value as a creative and your purpose to serve. That being said, our ultimate and primary value was deposited in us and breathed to life by God and through Jesus on the cross – any and all good that is within us or flows through our creativity is a beautiful reflection of the unending love of Our Father. Creativity seems to either be under-valued and ignored or over-valued and idolized. We see it all the time around it or have felt it ourselves. The overstated and obvious creatives, stars and Gaga-likes that the masses flock to that “set trends” and “break down boundaries” are most often not really people at all, but companies and corporations with dozens if not hundreds of people developing their “ground breaking image”. Then, there are are people like me and possibly you. We see things a little different and paint with a different stroke. Maybe, we’ve felt misunderstood or overlooked. Side note: an extreme positive of being a creative is seeing life vividly, through wild imagination and a discontentment for the norm. A down side can be that we’re a little over sensitive (or for myself, a lot) and struggle with feeling overlooked or undervalued. Sometimes these feelings are accurate for the situations we find ourselves in only to then be magnified by our glorious sensitivities, mulled about in our colorful minds and strewn on canvases and journals who seem to, at times, be the only ones who understand us. here are 4 lessons I’m learning and want to share with you about growing yourself as a commodity, some that you may not hear that often. Grow in understanding that your unique vision for the world is important. It’s so true! We’ve been created by an Awesome Father who made us exactly as we are and very much on purpose! Believing that we have been intentionally crafted is is immensely key to embracing our truest purpose. As we grow in valuing the way we see things, we are better able to develop our insight into ways of serving people. Grow in understanding that a lot of people don’t care how you see things. Ha! But again, it’s so true! Most people could care less about how unique and special we are as it comes to what they need unless it helps them. And that’s ok! I don’t need everyone to love how I design a sermon series or build a church website – I just need the right people to like it. I want to focus on what I do best and serve people in those ways – so they can see what they do best and serve others. Grow in embracing humility. It’s so easy as artists to take offense that others don’t get us. Maybe they should, but if we want to grow as people who serve others, it’s not about them getting us, but us understanding them and seeking to take pride in what we do without limiting what we will allow others to ask of us. I hope these tips help you avoid some bumps along the road, although the bumps are some of the best teachers. You are valuable – Stay you – Pursue God.